MR. DAVIS is a native of Memphis, TN. 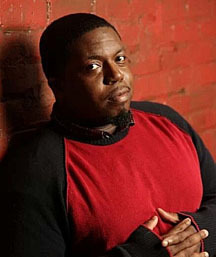 He completed his undergraduate studies in Music at the University of Memphis, and his graduate studies in Music Education from the University of Saint Thomas. Mr. Davis’s teaching career has included both choral and instrumental music education, in which he has developed outstanding music programs that serve the needs of the learner and foster students into champions of the community. Since his professional teaching career began in 2000, his choral and instrumental programs have been active performers in the school and community, and have received both excellent and superior ratings in state, regional, and national festivals. Mr. Davis was nominated a quarterfinalist for Grammy Music Educator of the Year in 2014 and 2016, and was featured on Classical MPR in January 2014 for excellence in music education. He was also selected as a top educator in the Celebration of Teachers for Minneapolis Public Schools in 2016. In the Fall of 2013, he assumed the duties responsibilities of establishing a music department at Roosevelt High School. Mr. Davis was nominated a quarterfinalist for Grammy Music Educator of the Year in 2014 and 2016, and was featured on Classical MPR in January 2014 for excellence in music education. He is an active musician and producer. Mr. Davis has performed and recorded with many artists across the United States and the world. He has a solo album, entitled "Divers," that was released in 2008. He is a percussionist, pianist, and organist. Mr. Davis, along with his wife, Tyona, and three children, Arielle,Tobias, and Allyse, reside in north Minneapolis, MN. November 30- MOA Holiday Music Festival- 12 noontraveling by light rail. Dates are subject to change, and additional dates may be added. You will receive a monthly calendar in class, and it will also be updated on Mr. Davis’s teacher website. Please stay informed.